Somewhere in the middle of the English Channel, the stretch of water that separates the U.K. from France changes name. The French refer to the Channel as “La Manche,” which translates to “the handle.” But even close to the French coast, there are exceptions – places where “La Manche” is referred to as the English Channel. 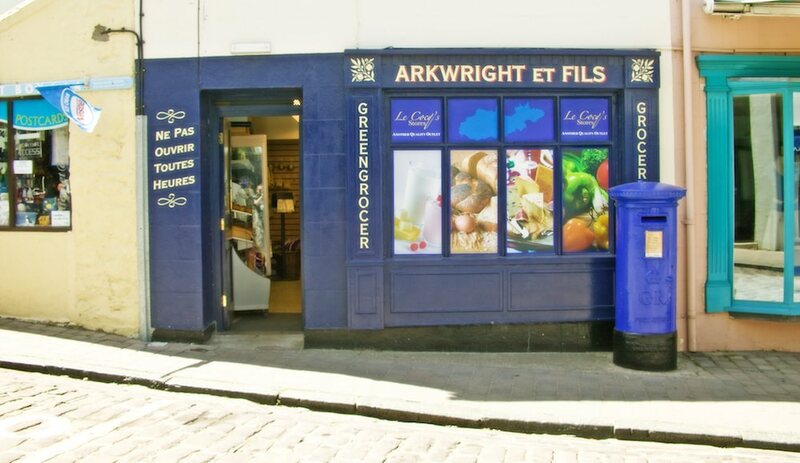 Situated some 70 miles/112 kilometres from the coast of England, but only 30 miles/40 kilometres from the French coast, you could argue that the inhabitants of Guernsey extend the reach of the English language. This is one of the last outposts before French takes over almost completely. The island that once formed part of France’s coastline – it is estimated that it was separated from mainland France at around 8,000 BC – is inextricably linked to both the U.K. and to France. Guernsey once belonged to France, but after England lost Normandy to the French in the year 1204 the island sided with King John of England. It has been a part of the British Kingdom ever since; however, the island with its roughly 65,500 inhabitants is self-governing. As an example of Guernsey’s autonomy, it is not a member of the European Union. Still, Guernsey has a continental atmosphere. That makes the island very different from the British mainland. The fact that many street names are also written in French is tangible proof of that, but the mixture of British and French influences goes deeper: it is inherent in the island experience. Once a major flower producer, it is estimated that the finance industry nowadays accounts for more than 30 percent of the income of this tax haven. Cruise passengers disembark at a pontoon 600 meters from the center of St. Peter Port, which is the island’s main town. The tender to the harbor from the pontoon takes between five and ten minutes. 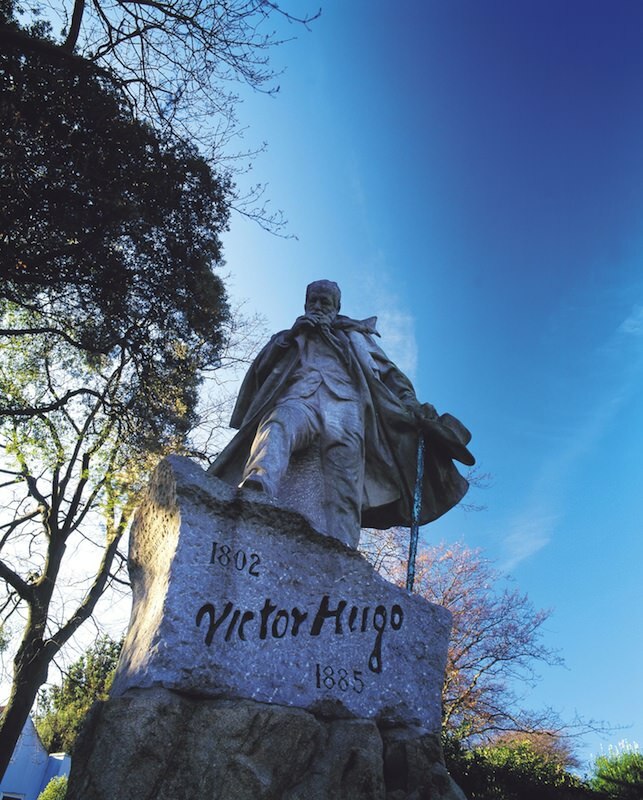 The French writer Victor Hugo is said to be the most famous person to ever have lived on Guernsey. He wrote many of his best known works while in exile on the island. The Hauteville House in St. Peter Port was his home for most of the 15 years that he spent here. 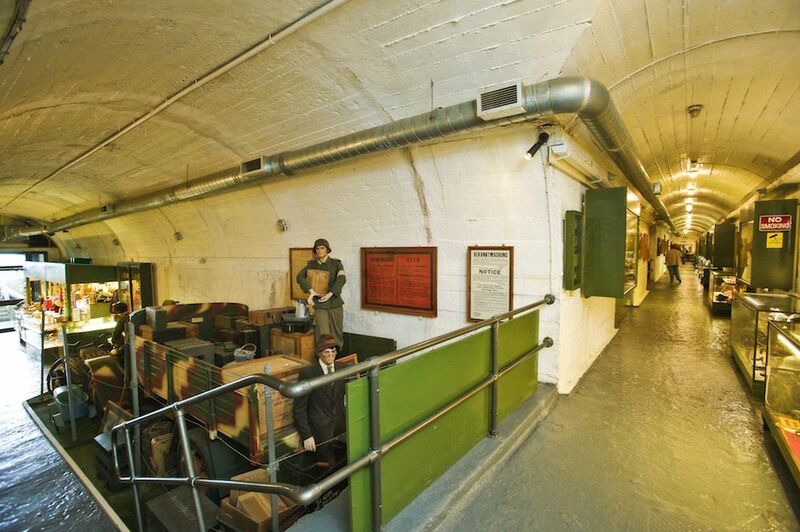 Guernsey’s past can also be experienced when visiting the defense structure Fort Grey, built in 1804. Also known as the Cup and Saucer, Fort Grey is now a shipwreck museum. Quite a number of shipwrecks can be found around the island’s coastline. Guernsey was the only part of British territory that was occupied during World War II. For an insight into the conditions for the island’s inhabitants in the period from 1940 to 1945, head for the German Occupation Museum. For a more general overview of the island’s history and culture, the Guernsey Museum & Art Gallery is a good choice. The Little Chapel is probably the world’s smallest chapel. Brother Deodat, the man behind the chapel, started his work in 1914. The decorations in the chapel have been taken from the sea: seashells, pieces of china, and pebbles. If you’re into trekking, Guernsey features 28.6 miles/46 kilometres of spectacular cliff top paths. The views from these paths are often splendid. A good example is Icart Point, from where you will have an excellent view across Moulin Huet Bay. If you enjoy the view, you will be in good company: This was once one of the French painter Augustus Renoir’s favorite spots. Don’t like trekking but enjoy exploring independently? Then it might be good to know that if you travel with the extensive network of buses on the island, a flat fare of £1 applies to all journeys of any distance on all routes. Coach tours of the island will include many of the highlights mentioned under Do Not Miss (above). 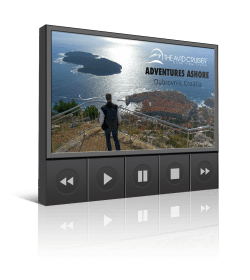 In addition, you will be able to enjoy the beautiful scenery of the island as your coach takes you from one sight to another. If you prefer to walk, walking tours are also on offer. The scenery in combination with the modest size makes the island an ideal destination for people who enjoy trekking. Another way to get in close contact with Guernsey is by way of RIB boat, enabling you to see the island from the water. 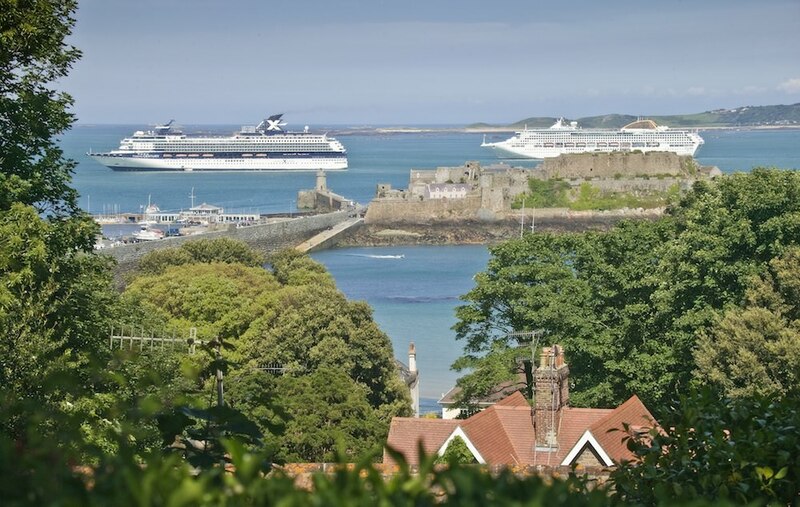 If Guernsey is too big an island for your taste, shore excursions to smaller, surrounding islands are offered. Sark and Herm are the two islands that are closest to Guernsey. 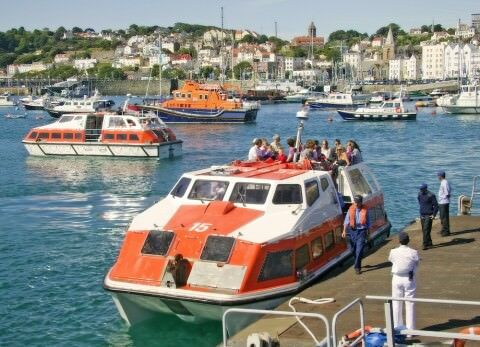 Unless you plan to fly from the island, you will probably be in need of a boat in order to get further from Guernsey. Ferry services to and from the island are frequent during summertime, however. The distance to the U.K. capital of London is some 220 miles/354 kilometres. Paris is somewhat farther away: 270 miles/434.5 kilometres. 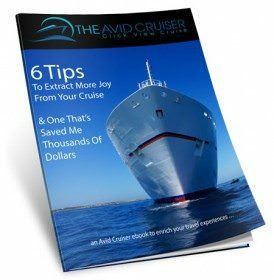 Avid Cruiser Posts, Photographs and Videos Featuring Guernsey.